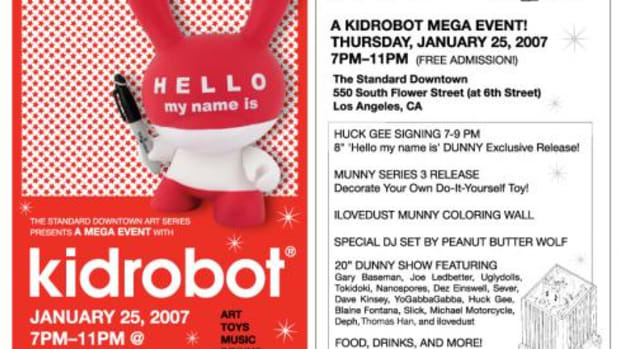 Kidrobot, the world&apos;s premier creator and retailer of limited edition art toys, has teamed up with The Standard Hotel for a very special toy release party on January 25th, 2007 at The Standard Hotel in Downtown LA. For one night only, The Standard Hotel in Downtown LA will be transformed into a playground complete with candy, colors, games, and toys! Two brand new Kidrobot toys will be released at this exclusive event. The "Hello My Name Is" 8-inch Dunny by artist Huck Gee, an ode to the theme of The Standard Hotel, will be available for the first time and exclusively at The Standard Downtown LA location. Only 500 pieces will ever be produced, and they are available for $49.95 each. The artist himself, Huck Gee, will also be signing his new toy from 7-9pm. Also making its debut at this party will be the third series of Kidrobot&apos;s Munny toy, a "Do It Yourself" toy, which will be available for $24.95. 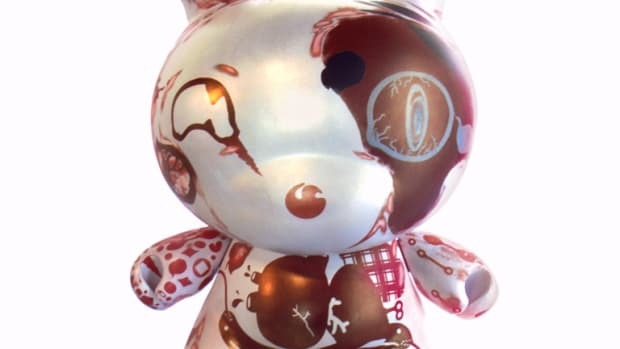 To celebrate the release of this new toy, there will be an interactive Munny toy decorating party in the main loft of the hotel, complete with markers, crayons, buttons, glue, and more. 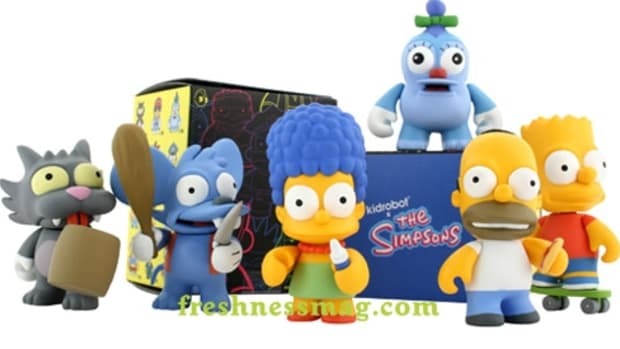 Come and be the first to decorate your own Munny Series 3 figure! 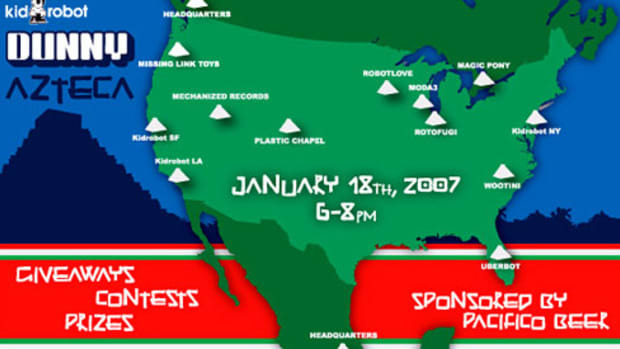 Other exciting activities at the event will be a huge "Munny in Los Angeles" wall drawing by the UK&apos;s own ILoveDust that will be waiting for everyone to color and bring to life. Lots of crayons in fun colors will be waiting for you to get your hands on and make your mark on the Munny wall. 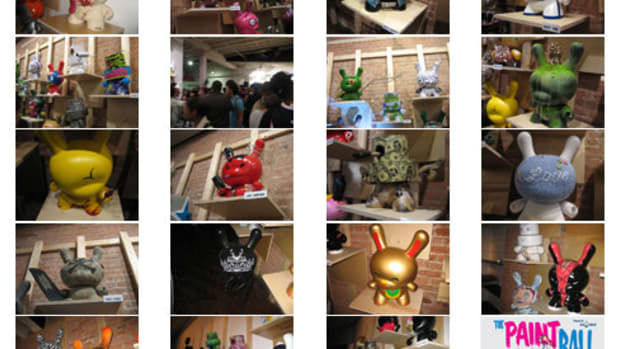 Finally, don&apos;t miss the mini art gallery that will feature 20" Dunny toys customized by local LA area artists (names TBA).